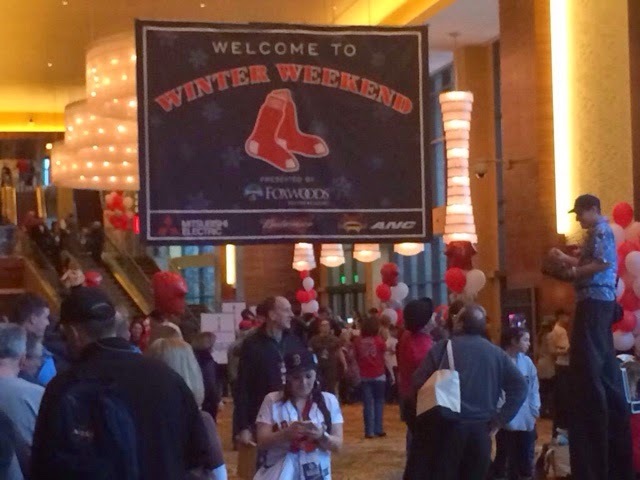 Ledyard, CT- The Boston Red Sox held their first ever Winter Weekend at Foxwoods Casino yesterday, and the event brought five thousand fans eager for the 2015 season to begin. 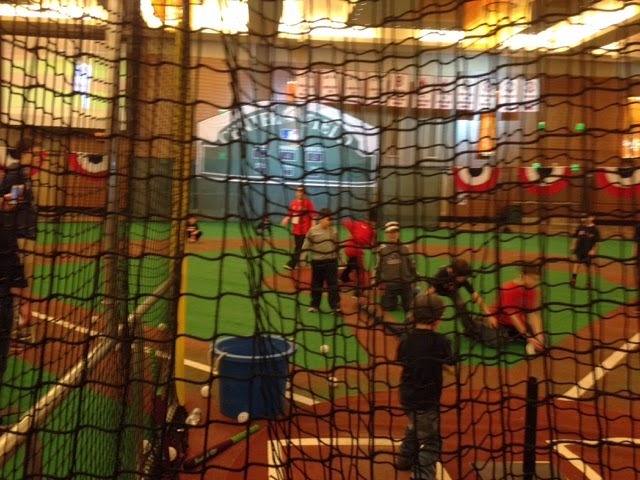 While the event held a Friday night Town Hall meeting to kick off the festivities, and a hitting clinic on Sunday for kids, most of the fun came all day Saturday where fans were treated to over 30 current minor league, major league and Red Sox stars of the past. 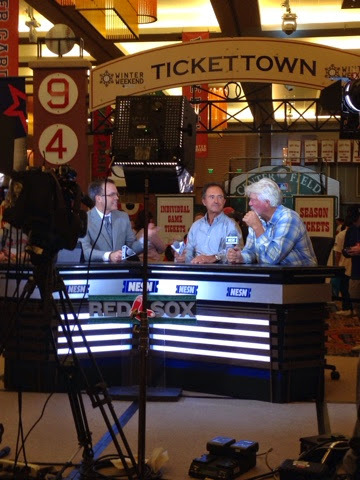 Three of Foxwoods' biggest rooms were filled with the World Series trophies, awards achieved by past Red Sox, interactive games for the kids, NESN studios, a ping pong tornament, breakout sessions with players and coaches, autograph sessions and photo opportunities. It was a fun filled experience where fans of all ages could lay low, or get hyped and chase the players from room to room. 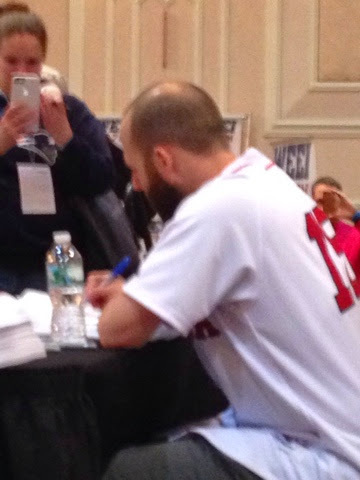 To get your chance to attend the event, you had to purchase a $40 ticket that gave you all access to the interactive rooms and one ticket to the autograph and photo room where you had a specific line to stand in for a random Red Sox player. When it was your "time" to meet a player, you were allowed into the Grand Ballroom and were greeted with 4 lines. Your wrist band let you know what ticket you could stand in, so after bit of confusion, you found your designated area. After you stood in line for 5-10 minutes, Red Sox players came out at sat at one of the four stations. 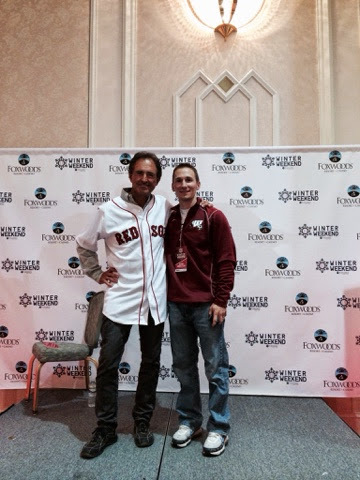 You met your player and were then rushed to the next line where you took a photo with another Red Sox player. Every hour the lines changed players. The excitement hit a peak when at four pm, all fans were removed from the room and Pedro Martinez emerged to take photos with half of the fans who had the 4pm tickets. If you weren't into the autograph sessions, there were plenty of breakout sessions to listen to the players talk about pitching clocks, their favorite teammate, or play in games like Family Feud or bingo. 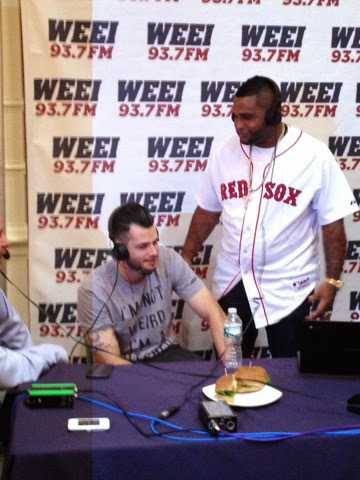 WEEI also set up camp in the autograph room and intervieweed players as they walked by. 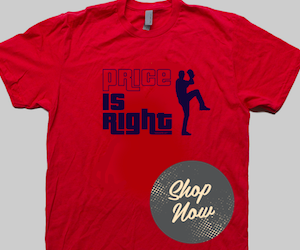 Most interestingly, Joe Kelly, who sat with Rob Bradford in a " I'm not weird, I'm a pitcher" tshirt and predicted, honestly, that he would win the Cy Young in 2015. He also dropped a bomb and said that about 95% of pitchers cheat. He was joined by Pablo Sandoval, who looked genuinely concerned that Kelly predicted his 2015 pitching fate. 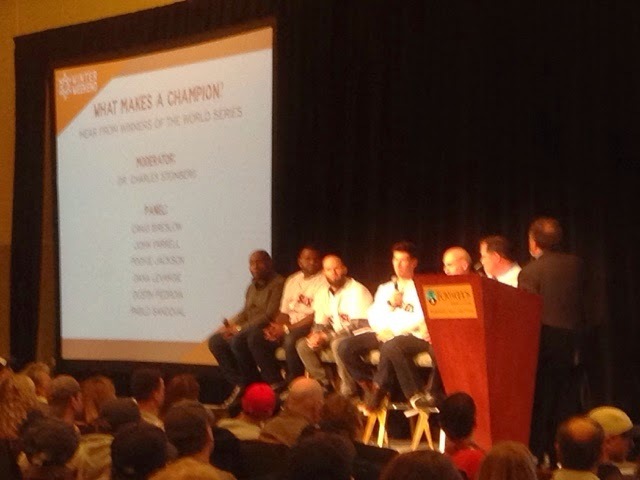 In the breakout sessions, Mookie Betts did his best David Ortiz batting impression and Dustin Pedroia wittingly announced that he was against pitch clocks, saying. " I can be home late." He also added "I got people [friends] at home with no futures who will be breaking those pitch clocks for me. Craig Breslow, who sat next to Pedroia for the session, grabbed the mic and questioned " Would you rather us lose in 2 hours hours and 45 minutes or win in 3 hours?" The crowds all seemed to agree with the players. When it was all said and done, the players seems to enjoy themselves, they smiled for the photos and signed until their hands hurt, but plenty of fans went home happy and are already looking forward to a possible Winter Weekend 2016. 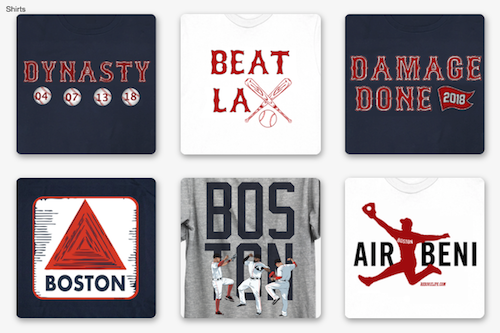 Until then, fans will be treated with warmer air and a Red Sox season opener in about 3 months.